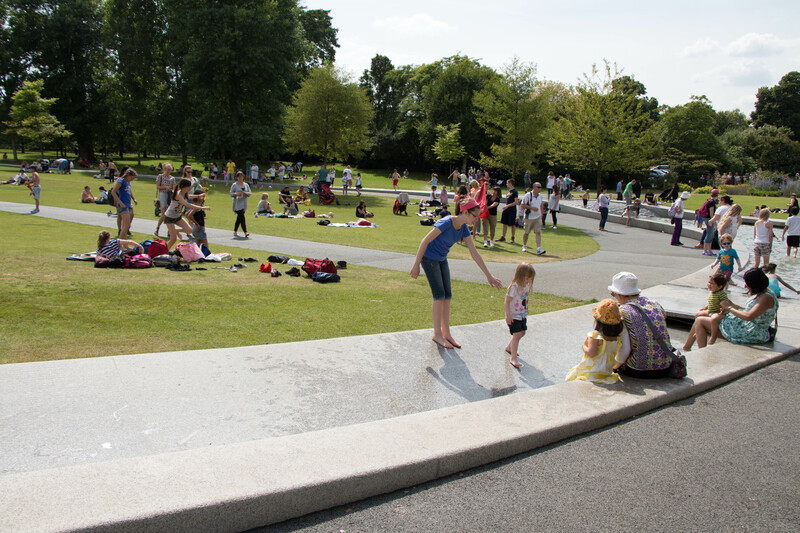 description dcterms:description Princess Diana's memorial in London is a park-like setting with many families enjoying the space while children play in the fountain. 1 2018-03-19T19:18:46+00:00 Introducing Participatory Memory 3 This section describes participatory memory as an academic area of study. This page gives a brief overview of this topic and introduces the rest of this section. plain 25 2018-03-28T16:34:41+00:00 Across physical and digital spaces, fans work to connect, share, and talk to their fandoms and each other. When we examine these experiences, we ask several questions to explore the social, political, and economic implications of participatory memory, such as: How do fans respond in physical spaces that are sacred to their fandoms? Who owns these spaces and the participation that occurs there? How do these fans create a space for community in these physical and digital spaces? Where can fans participate and where can they simply consume their fandom? Where are fans finding the most agency? When does the participatory memory of fans collide with other stakeholders, and what cultural work must take place to resolve these disputes? By understanding the ways in which fans come together in spaces of memory, we can learn how to negotiate participation to create better fan experiences, curate shared fan/producer materials, and help producers connect with their audiences in this multibillion dollar industry. This digital book is the culmination of years of research focused on participatory memory in physical spaces. What is participatory memory? Participatory memory is the phrase we use to describe the ways in which people memorialize, celebrate, and reflect across physical and digital spaces. It seeks to examine the writing, making, creating, crafting, etc. 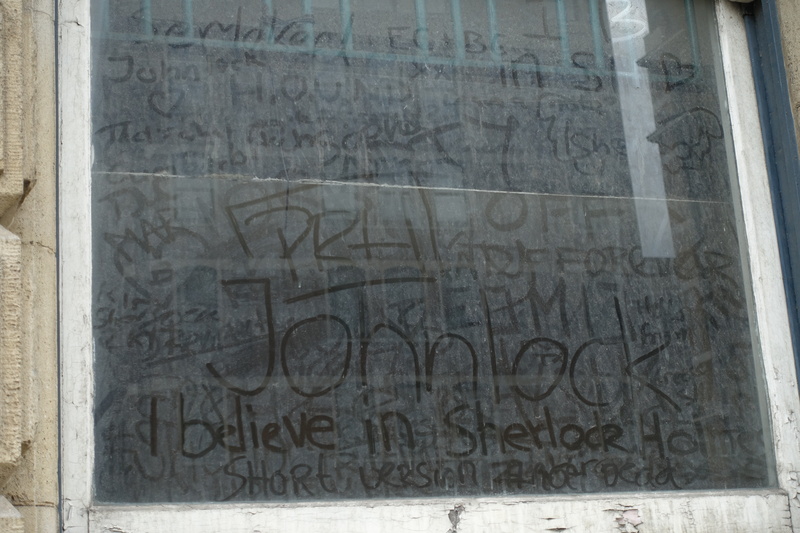 that takes place in these spaces by fans for fans. These are community-making activities that create microworlds in which fans engage. 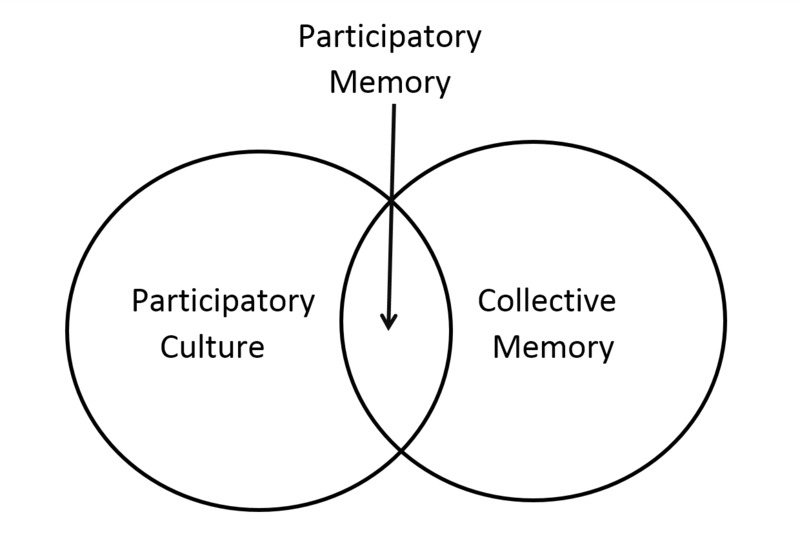 The concept of participatory memory leans on and extends already established areas of study in the academy, notably Henry Jenkins’ (1992) understanding of participatory culture and Barbie Zelizer’s (1995) view of collective memory. In Jenkins’ scholarship, we have a framework for understanding the ways in which everyday people want to engage with popular culture content. In Zelizer’s work, we can trace an outline of how memory and nationalism are linked and the place of participation within it. Both of these scholars have helped frame the case studies, along with Michel de Certeau’s (1994) The Practice of Everyday Life. Specifically, we use the concepts of strategies and tactics to better understand the ways in which participants engage in these spaces and the systems of space owners, governments, and content producers who claim authority in many of these spaces. In this digital book, we study cases, looking specifically at how fans do participatory memory work and the experiences they create for themselves and others. Sometimes, these experiences include interventions or disruptions from government officials and content producers. Other times, fans are left to discover, play, and engage with each other. In order to do this work, Liza visited these sites several times over the course of several years, beginning with a visit to Princess Diana’s participatory memory space in 2004. Working over a decade on this project, she has enacted the advice of public memory scholars Jane Greer and Laurie Grobman (2016), who stated that “studying changes in memorial practices through history over decades and even centuries provides one way of understanding how public memory can ‘change and adapt’” (p. 18). By returning to these sites over time, Liza is able to see how participants have negotiated space, meaning, and representation in these spaces. In addition to making several trips to these sites on her own, Liza has led two study abroad trips focused on culture, storytelling, fandom, and memory. Working with students in these spaces was fantastic. She found their insights, ideas, and approaches bolstering her research and encouraging her to question what she was seeing from their perspective. Some of these students wanted to explore these topics in more depth, leading to several collaborations. This book is one of the outcomes of these collaborations. As we explored these spaces, we had several questions that we focused on before, during, and after our site visits. Some of these questions were based on not knowing what we would find, while other questions occurred to us as we were in the space. These questions are involved, and required that we visit, participate, and engage in these spaces. Learning from other fans in these spaces, we were able to experience pilgrimages that helped us understand and eventually process what might be going on here. With these questions in hand, we set out to explore the ways in which we think about participatory memory. But first we had to come up with definitions that worked for us. The next section explores these ideas and audiences in more depth and provides these definitions.